Stunning Loft Conversions throughout Lancashire & Manchester. 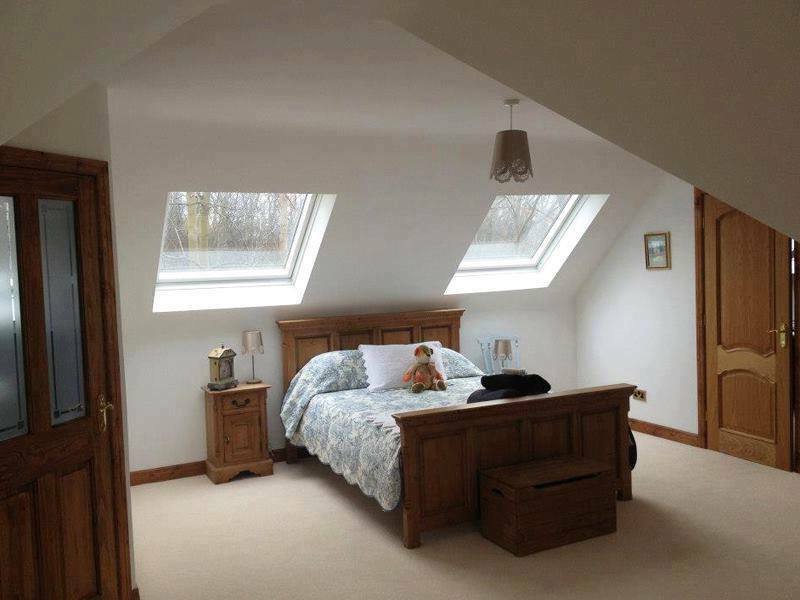 Welcome to Rafter Loft Conversions, so you are considering a loft conversion. Congratulations, you’ve made a fantastic decision! Rafter Loft Conversions aim is to provide all our clients new and old with a loft conversion package that represents excellent value for money. If you are looking for a loft conversion company in Lancashire or Manchester look no further, Rafter-Lofts offer a totally free no obligation quote and design of your loft conversion. We guarantee we will not be beaten on price for a like for like quote. What is the process for a loft conversion? 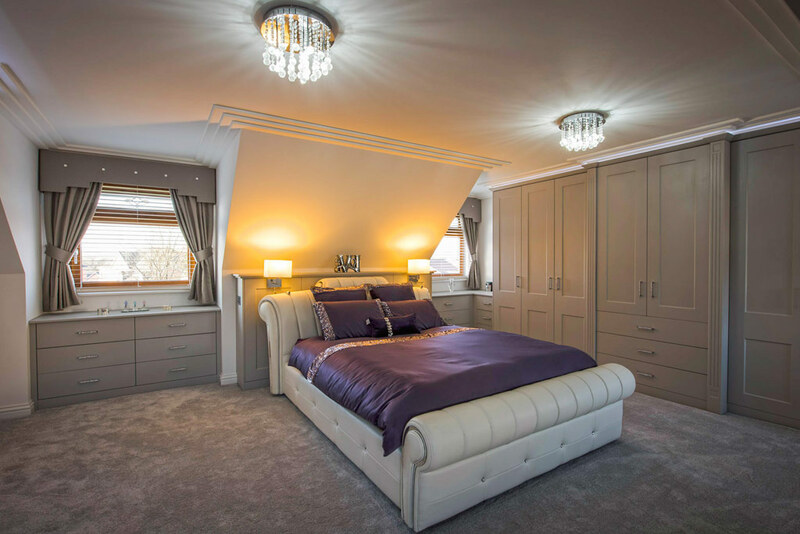 From your initial contact we will arrange a convenient time to suit you to visit your home and discuss your requirements, each loft conversion is designed to your own individual specification to gain maximum comfortable & versatile living. Following our visit, we will prepare you a written and fixed price proposal on your loft conversion, then if Rafter Loft Conversions are your perfect partners a time & date will be arranged for our architect to visit your home and undertake a structural survey in order to prepare your plans for approval. After you have approved the plans we will submit them to building control along with structural calculations to get full approval. On the mutual convenient date to start work, the bulk of the material’s will be delivered on the first morning, if we require a crane to lift steels into place we usually ask for it to turn up around 10am this generally allows your neighbours to do school runs or get off to work, as to minimize the disturbance. Once the steels and primary beams are in place the construction of the floor can commence, whilst at this stage your floor to floor is determined and your bespoke staircase will be ordered. The next stage is to upgrade your roof structure and fit your roof windows, Rafter Loft Conversions only install the top of the range Velux white polyurethane roof windows, following the installation of the windows the insulation is then introduced to make the new room conform with the latest stringent building regulations. At this point will ask the plumber / electrician to visit to fit any pipes or wires if necessary. Now that your room is fully insulated we are ready to plaster board the shell. Now we’re ready to build the new internal walls and divide the loft into comfortable sized rooms you require, once completed the stairwell aperture will be carefully cut out, then your bespoke staircase will then be fitted. After installing the staircase there is a few of days to finish the joinery work ready for the plasterers. Our time served plaster’s will commence work when all joinery has been completed, and at this stage the plumber will commence work to attach radiators & sanitary ware, whilst the electrician does his second fix of electrics. 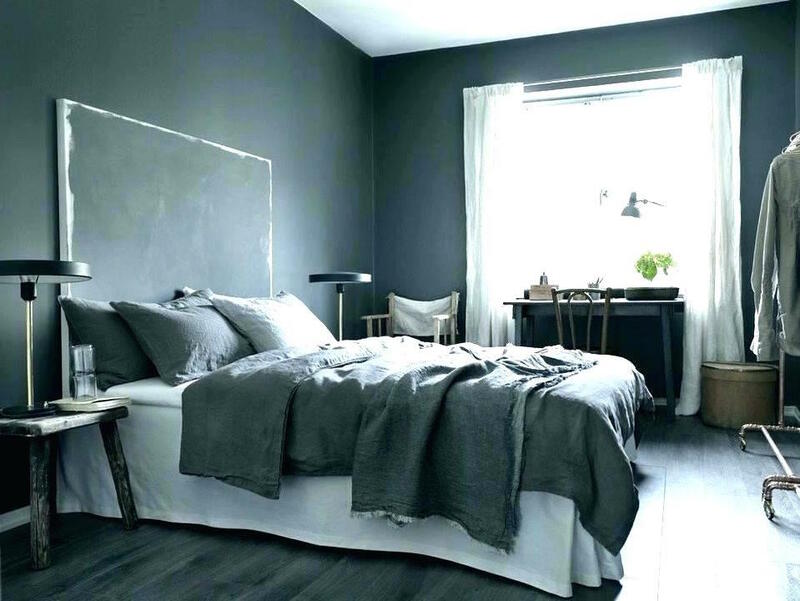 In just a few days after the plaster has dried, all’s left do is for you to choose the colour finish. Importantly you do not have to move out while your loft conversion is being constructed as we keep all the building work and disturbance to an absolute minimum. A typical loft conversion takes around four to five weeks from start to finish. Building Regulations – Planning Permission? Building Regulations is compulsory on every loft conversion. Building Control approval of your project will not only ensure that your loft conversion is built structurally safe, but meets stringent and rigorous requirements, when a property exceeds two floors there are more requirements to be met, for example structural stability, thermal insulation, the stairwell on all floor levels should be enclosed and the stairway should open directly to a final exit, grades of structural integrity materials etc. Well the good news is that most loft conversions now do not require planning permission, the reason for this is permitted development rights was set in Parliament not by the local authorities, therefore you are able to undertake certain types of modification to your home, under what is classed as your “permitted development rights”, which is 40m3 on terrace houses, and50m3 on semi and detached houses. Permitted development rights are restricted in areas of outstanding natural beauty, conservation areas and on any listed building, any particular alteration to a building described will always require planning permission for any alteration. Any work to a listed building, even if it does not alter the appearance will require listed building consent. Compliance to Building Control guarantees you a certification of the works upon completion, this is an important document for and when you to process the sale of your home in the future. Here you can have a look at some ridiculous permitted development loopholes. What is the cost for a loft conversion? The four most popular Loft Conversions. The simplest of loft conversion are Velux loft conversions, these particular conversions start from £18,000 upwards depending on the complexity, this is when your loft conversion if formed within the existing roof space without actually altering the profile of your roof, the conversion works best when you have ample headroom so you can make full use of all the space available. The cost of a Hip to Gable & Hip End Loft Conversion generally start from £25,000 and are for properties with a slopping side roof, which means that the side of your roof slopes inwards towards the ridge/chimney. A hip-to-gable style conversion would change the shape of the roof by extending the existing the ridge and giving you a much larger loft area. Generally houses with hip roofs do not tend to not have enough internal volume over their existing stairs, so a Hip to Gable conversion is constructed to carry your new staircase. Flat roof dormers prices start at £28,000, Rear Dormers are popular as they create maximum floor area and also give natural light through windows or French doors. Depending on circumstance, planning permission is not always required as the conversion can be carried out with permitted development rights and also meets certain criteria. Fitted with Firestone EDPM Membrane. Wrap around dormers is when both a Hip to Gable and a Rear Dormer are introduced maximising the full potential floor area, Wrap around dormers generally start at £35,000. The Wrap Around loft conversion is suitable mainly for semi-detached properties. How long does a Loft Conversions take? 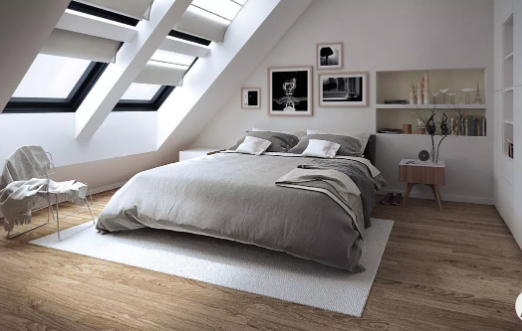 A Velux loft conversion is by far the quickest loft conversion to complete, this particular type of conversion is generally built and finished in 3 weeks, allow an extra week if a en-suite/bathroom is to be incorporated in the loft conversion. Hip to gable loft conversions are typically built in 4 weeks, however this depends on your existing roof cover, i.e. slate and plain tiles usually puts a few extra days of labour due to complexity, again if a en-suite/bathroom is introduced allow an extra week. A rear dormer loft conversions take around the same time as a hip to gable loft conversion, again the same applies to the en-suite/bathroom. The wrap around dormer is the longest to construct, this takes around 6 weeks, dependant on which existing roof cover you have, the same applies if a en-suite/bathroom is introduced on the build. Loft Conversions to complying with building regulations! The installation of hard wired and battery back-up smoke alarms in all habitable rooms off the escape route is mandatory, unless you have an open plan staircase then a sprinkler system may be introduced. Alternatively, a ventilating pipe may terminate inside the building if fitted with an air admittance valve, a AAV installed internally are usually fitted within rooms or in the roof space, the great advantage of using a AAV is that they remove the need for holes through the roof or external walls, and reduce the amount of pipework required. Loft conversions usually have low heat losses due to the high elemental insulation requirements required, as long as the existing boiler has sufficient capacity there should be no problem adding additional radiators. If the conversion forms part of a larger refurbishment, then a new central heating system may be viable. Exposed beams supporting floors must provide 30 minutes fire resistance. This can be achieved by oversizing timber beams, timber burns at a known ‘charring rate’ of 20mm per half hour. Beams can be built into existing cavity walls but to allow for end supports the beams must be approximately min 200mm longer than the clear span of the room or space. Timber beams should not be built into external solid masonry walls. Heavy duty galvanised steel hangers are an alternative means of supporting timber beams. Steel hangers should be appropriate for the load to be supported. Hangers should be supported directly by bricks or concrete blocks with the face of the hanger tight against the wall face. If new rafters are to be inserted between existing ones or alongside, they should be selected from span tables set out by building control, if purlins are repositioned, it is essential to check the effective rafter span, the overall rafter length required should be checked against the availability of suitable timber and provision for lapped or spliced joints made when necessary. Rafter Loft Conversions provide a comprehensive all in one loft conversion service, from your initial free quote & Cad design, submitting the relevant paper work to building control and planning (if required) and overseeing every step of the build dealing with building control through to the completion. Rafter Loft Conversions are passionate about what we do and understand getting a loft conversion can be a major disruption. All loft conversions are project managed from start to finish to ensure the process of your loft conversion runs as smoothly as possible, with minimum disruption.